Rehana Textiles is a top rated garment manufacturer of all kinds of garment for all. It aims to simplify the complexity of its clients and offer them 100% customized solution for their A to Z garment manufacturing needs. We typically starts with your conceptualizations stage and ends with door-step delivery. Be it design process, pattern making, sourcing, custom label and tag development, sampling, embroidery (computer and hand), printing (discharge, pigment, screen, digital, block printing etc), smocking, sequence and beads work, sublimation; Rehana Textiles is equipped with state-of-the-art manufacturing facility to welcome any size, any type of clothing production order. Our services starting from the design process all the way through production. Our office is strategically located in Abu dhabi, benefiting our buyers by utilizing the clothing manufacturing facility, availability of low cost artisans, skilled manpower, and an abundance of raw materials. Rehana Textiles has widen its spectrum from being small order clothing manufacturers, low MOQ clothing manufacturer, made to order clothing manufacturers to now massive quantities clothing manufacturer. Rehana Textiles offers unique manufacturing facility where we help the clients to easily get their desired products. Today, we are Abu Dhabi’s leading clothing manufacturer and provider of all kinds of ready-to-wear garments for all. Here is a passionate team of talents with sound exposure of International fashion industry. Our team includes creative designers, technical experts, production managers, quality control managers and manufacturing specialists who provide services ranging from design, pattern making, technical specifications, and sampling to low minimum stock production. Quality has been an integral part of our organization that has enabled us to set a strong foothold in the garment and uniform industry. 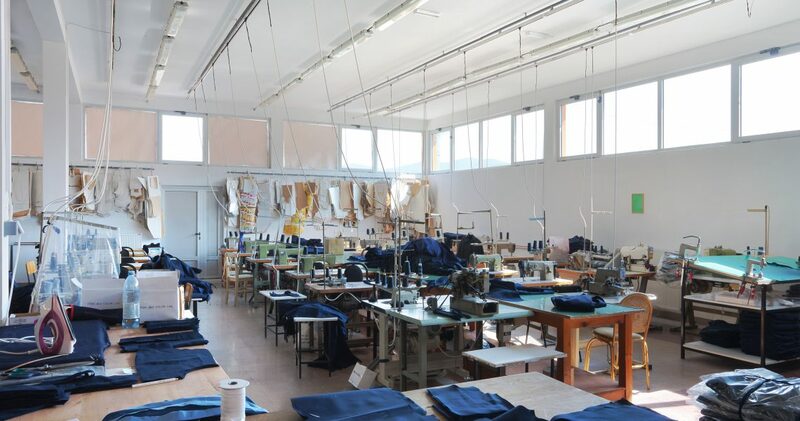 Our quality control unit, well equipped with latest quality testing tools, helps us to conduct quality checks on the finished garments, to ensure the garment delivered to our client is free from any defects. To stay ahead in the competitive garment industry, we adhere to certain quality objectives to achieve total excellence in our wide assortment of knitted fashion garment. Some of our quality objectives comprises of the following: — Enhancing the production Maintaining quality throughout our operation process, Minimizing wastage of material Moreover, our team of quality analysts carefully monitors the manufacturing procedures to ensure that our product line conforms to the international quality standards in terms of stitching, fabrics and color combination. Our exclusive collection is checked and tested on well- defined parameters, before being dispatched at clients end. These include: – Fabric strength, Stitch durability, Quality of prints and embroidery, Tear strength, Color fastness & Shrinkage.